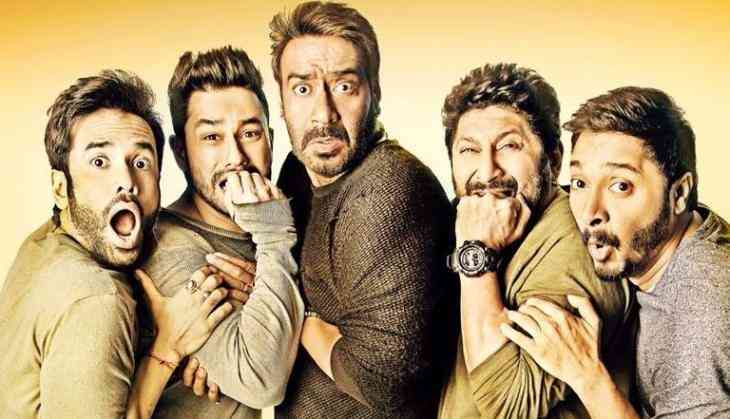 Horror comedy is the genre which has not been properly explored yet in Bollywood, however, we have such movies, but Golmaal Again is a film which has given a great success to this genre. The Rohit Shetty directorial film has already crossed the glorious 100 crores mark at the box office. The film is doing good business in the weekdays also and every weekday the film is showing some positive sign for the overall collections. According to trade analyst Taran Adarsh, the film has collected 10.05 crores on the 6th day, that took the total collection of the film to 126.94 crores. #GolmaalAgain Fri 30.14 cr, Sat 28.37 cr, Sun 29.09 cr, Mon 16.04 cr, Tue 13.25 cr, Wed 10.05 cr. Total: ₹ 126.94 cr. India biz. Till now the film has collected more than 125 crores in six days and with this, the film has become the highest grossing horror comedy film of Bollywood all time. We are saying that just because only a few horror-comedy films have been made in Bollywood. #GolmaalAgain Fri 30.14 cr, Sat 28.37 cr, Sun 29.09 cr, Mon 16.04 cr, Tue 13.25 cr. Total: ₹ 116.89 cr. India biz. 👍👍👍... OVERSEAS - Total till Tuesday, 24 October 2017: $ 3.91 million [₹ 25.47 cr]. In 1965, first horror comedy film released called Bhoot Bangla, and then Bollywood has tried films like Hum Tum Aur Ghosts, Gang of Ghosts, and then Tutak Tutak Tutiya was a misfire. However, Great Grand Masti was a good try but the leak of the film affected its business. However, if we look at good horror-comedy film, then Bhool Bhulaiya was the best of Hindi cinema which even did a good business, but as you know that time 100 crores was not in trend. Did Salman Khan help Jacqueline Fernandez to get bigger role in Race 3?